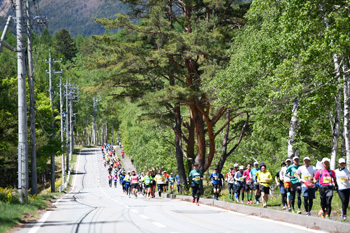 Nobeyama Ultramarathon reach 25th milestone. There were 43,935 runners. There are coming true dream and impossible dream. People told "Runner take hold of Nobeyama is taking hold Ultra." Because it is too grueling race. The great sensational are waiting you. 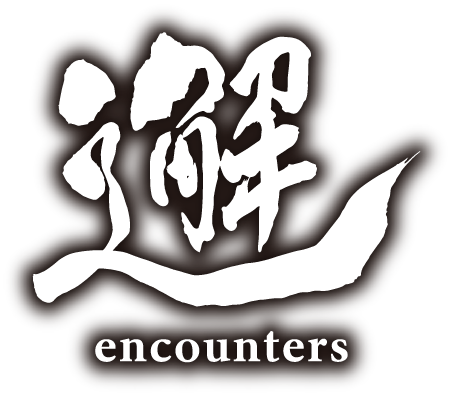 The course is made by Minamimaki Village, Koumi Town, Kitaaiki Village, Minamiaiki Village, and Kawakami Village. Tere are 3,000 people in the village and town, and everyone receive 3,300 runners. The greatest feature is plateau area at a height of 1,000 m above sea level. Morning of the day in May gets much colder. As the minutes tick away, temperatures rise from start. Feeling temperature is so higher in the daytime. We recommend protect your skin from the sun and use Baggage Storage with your change of clothes. There is the station: Nobeyama is highest station (JR) above sea level in Japan. Lettuce of highland vegetable haevested in summer is so famous. there is the three best place of star watching in Japan. It's going to be a surprise in the race day eve. There are folklore sylvan fairy "Ptylitza". They are live in the warm mind place that a wealth of native environment and prize all anima. You can see the fairy near the entrance of folk dwelling. "Ptylitza" receives runners. The village is 90% constitute of mountain forest. Alpine rose in "Ogura-san" which is symbol of Kitaaiki village is so beautiful from the end of May to early in June. There are a lot of falls in this village. "Takiminoyu (hot spring of looking falls)" wait you in the finish of 71km division. You can do wonders for your mind by "Inukoro-no-taki (the falls of dog)" with having a hot spring. Yield of highland vegetable Lettuce is highest in Japan. 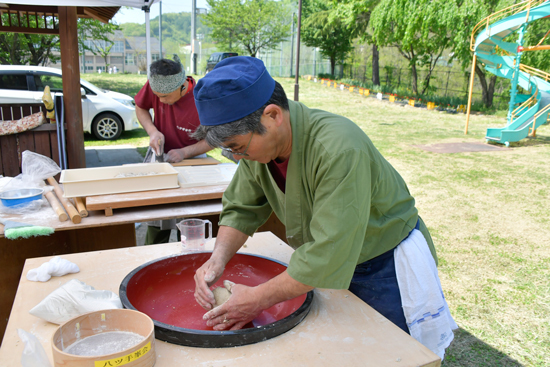 And local products are Soba, strawberry and more. This village has headwater of "Shinano-river" which is longest river in Japan. There are outdoor place: campground, golf course, and mountaineering place. You can get water, isotonic drink, raisin, orange, candy, gummi, Udon and more. Some aid station has locally grown fruit like grape etc. And there are local products “Shinsyu soba” at finish venue. Local volunteer bring some food at 3:00 a.m. on the race day, because wild animals eat that. Local people help us point of being invisible by runners.